What if you saved a man’s life and he went on to play a leading role in one of the bloodiest revolutions of modern times? Ted Whittlemore, a radical Australian journalist, does just that. In the late ‘60s, he saves Nhem Kiry, soon to become known as 'Pol Pot’s mouthpiece’. The consequences haunt him for the rest of his days. When the Khmer Rouge take power in Cambodia, Whittlemore watches, fascinated and horrified, as the ideals he holds dear are translated into unfathomable violence. In the intervening decades, as he tries to make sense of what went wrong, it is as if Kiry’s life has become intertwined with his own. In this gripping novel, Patrick Allington takes readers deep into the world of power politics and agents of influence. He enters the worlds of Nhem Kiry and Ted Whittlemore, and with humour, intelligence and an unfailing moral sense, brings them to life. 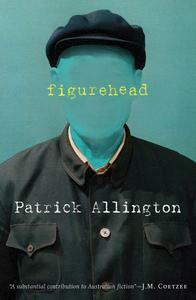 Figurehead is about guilt and memory, and the awful distance that separates dreams from reality. It is about those people who, as George Orwell said, are ‘always somewhere else when the trigger is pulled’.